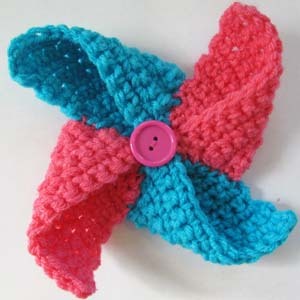 Now that we have some breezy warm afternoons upon us I’m sure you’ve been finding pinwheels at the local dollar shops. Kids can’t resist them. Oftentimes we see them for party decor or even replicated with fabric for quilt blocks. 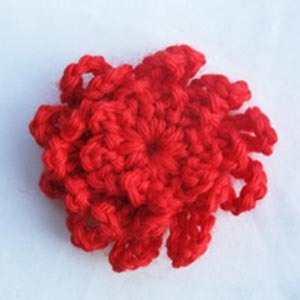 This week I decided to try crocheting a pinwheel and this pattern is what resulted. You can use this project to spruce up throw pillows and other home accessories. 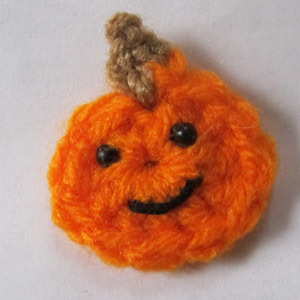 Make it out of finer yarn and it makes great appliques, pins, or hair accessories. I used two colors for this pattern but you can easily make each blade out of a different color. While out shopping I’ve noticed that crocheted accessories are all the rage. 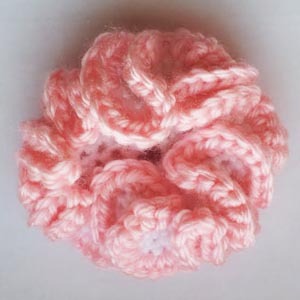 So, this week’s crochet pattern is for a white and pink tinged carnation. There are so many uses for this project. You could make several and chain or slip stitch them together to create a sweet, spring accent scarf. You could also make two and attach hair bands for your daughter’s pigtails. Sew a piece of felt and a pin back onto the flower to wear on your jacket. Why not whip up a few to dress up some headbands. They are a perfect handmade alternative to bows for gifting too! Over the summer I have been in New York City, Chicago and San Francisco. While on business and vacationing I’ve had the opportunity to window shop and browse a variety of stores. I love adapting my wardrobe to the latest style without paying big bucks. As of late, I’ve been seeing a lot of lace and some really cute, feminine hair accessories popping up everywhere! 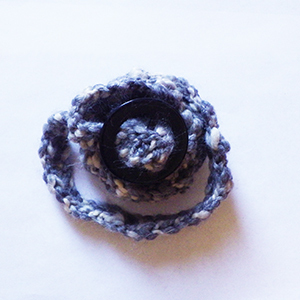 So, I whipped up this super simple hair scrunchie. This is the perfect project for using up leftover bits of yarn. Don’t forget to make some for the little girls in your life! They make great gifts too. I love crocheted accessories that add a personal touch to my wardrobe. Check out this sweet flower pin; it’s so easy to make! There is so much you can do with this ultra easy project. 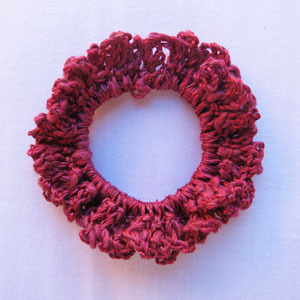 You could make one of these flowers to accent a child’s crocheted headband. They are the perfect hat accessory or how about pinning one on your purse. 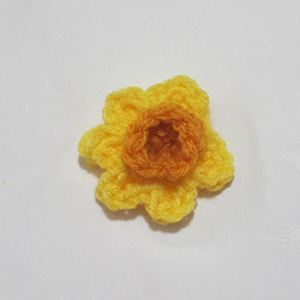 You could also sew a few of these flowers along the hem of a little girl’s dress. Don’t be afraid to mix things up a bit and alternate each flower’s yarn color or add a vintage button in the center. Crochet yourself a flower garden!